North America Forum»Forum ›League of Angels ›General Discussion › Divine Totem Topaz or Ruby? 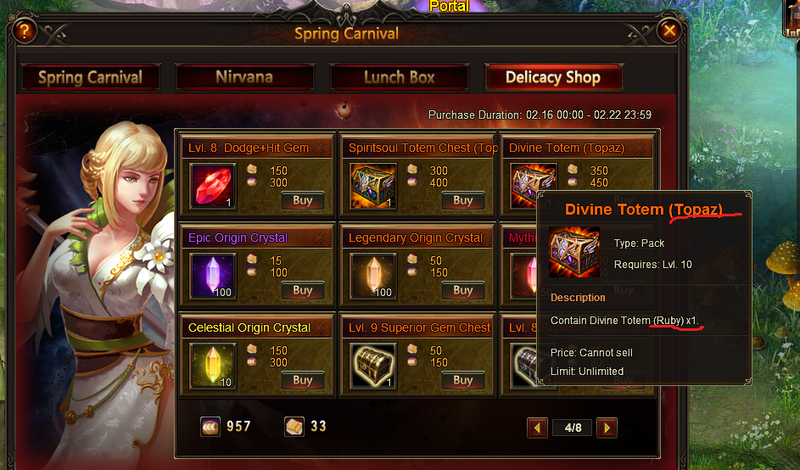 Divine Totem Topaz or Ruby? Prob Topaz, and DEVS PLS answer before event ends, to see if it is worth getting it or not. I would get id if it was RUBY. It would be nice if they would give an official answer to this. The question is now because it is a topaz, is it worth getting? 2019-4-18 23:19 GMT+8 , Processed in 0.088380 second(s), 52 queries .